At Harris Dental in Phoenix, we think it’s great that so many of our patients are conscious of their dental health. 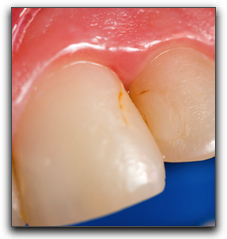 Having a better understanding of exactly what a cavity is will help them take better care of their pearly whites. Cavities may get so bad that you will see pits or holes in your teeth, but symptoms may be more subtle, such as sensitivity, pain when biting, or a toothache. If you experience any of these symptoms, you should call us right away for an appointment. If you are in the market for quality dental care in the Phoenix area, give Harris Dental a call. We offer a full range of general and cosmetic dentistry services. Make an appointment today. Looking into how much dental implants cost and getting a straightforward answer can be frustrating. But there is a reason for that, and at Harris Dental in Phoenix, we’d like to explain it. It can be confusing to research the cost of getting a dental implant and finding nothing solid on the web. There are good reasons why most dental sites don’t publish the cost of tooth implants. The number of teeth being replaced may be more than the number of implants needed to cover that section of the mouth. Tooth implant dentists want to offer accurate pricing rather than scare you away with higher estimates. It takes a simple consultation to review dental history, assess needs and create a treatment plan. This could mean a more efficient surgery with fewer implants. 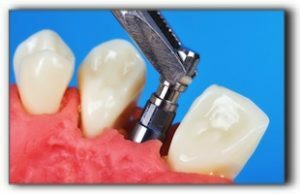 While dental implants really are the state of the art in tooth replacement, much better than a bridge or denture, sometimes the procedure won’t be what you thought it was going to be, or maybe you aren’t a good candidate for the process. A ballpark number might be possible to post on the internet but the changing cost of supplies and lab fees make it impossible to guarantee an exact price for full mouth dental implants. Dentists who offer implants can correctly calculate dental implant surgery rates based on current prices when you come in for a consultation. Nevertheless, dental implants remain the best way to replace a missing tooth, because they look and function like natural teeth. One implant can support one tooth, and several implants can support a set of dentures. At Harris Dental in Phoenix we also offer general dentistry. Call us for an appointment today. It’s not only extreme dental caries that can damage a tooth until it is beyond saving. Gum disease that leads to bone loss is just as harmful. Gum disease is caused by a buildup of plaque that creates pockets of infection between the gums and tooth roots. This leads to periodontitis, gum recession, and eventual bone loss. A professional cleaning gets rid of the plaque before it can cause the gums to recede. Even if you brush and floss your teeth morning and night, plaque can build up. We have many patients who are vigilant brushers but are surprised when our hygienist finds plaque on their teeth. The Oral Cancer Foundation relates this sobering news: oral cancer claims one life approximately every hour—that’s 48,250 deaths a year. Each checkup at Harris Dental include an oral cancer screening. Your mouth is not a separate entity from the rest of the body, but many men and women treat it that way. Some get regular preventative services for physical conditions but overlook their teeth. At Harris Dental, we’ve often wondered about this common disconnect. Did you know that there is compelling evidence to suggest that the risk of heart disease, stroke, and diabetes increases with poor oral health? Besides, your lifestyle is dramatically influenced when you have tooth pain, tooth loss, gum disease, or dentures. Many dental insurance plans cover semiannual dental cleanings. Even if you don’t have dental insurance, cleanings are one of the most affordable ways to keep ideal oral health. 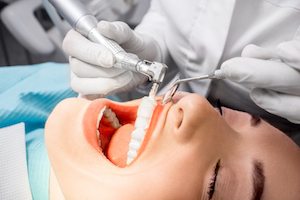 At Harris Dental in Phoenix, our services include general and cosmetic dentistry. Call to schedule your next appointment today.